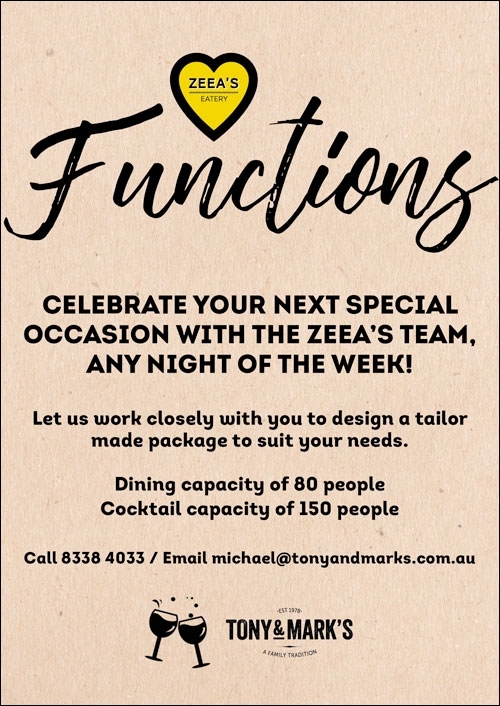 Influenced by both Italian and locally sourced ingredients, Zeea’s Eatery is exclusive to the Tony & Mark’s retail experience. This experience is built on strong family values, as is reflected in the personal service and friendly atmosphere that fills each of our venues. Our philosophy is based on offering our guests meals that source fresh, seasonal, local produce and one which encourages bringing people together to share a meal, an experience and a memory.